In this passionate and heart-wrenching debut novel by Irish writer Mark Mullholland, we meet Johnny Donnelly — an intense young man who is in love with books, with his country, and with the beautiful Cora Flannery. But in his dark and secret other life he shoots British soldiers: he is an IRA sniper. With a review like that, you can't go wrong can you? IRA sniper who is in love with books and his country? I couldn't wait to read my advance copy, but sadly, A Mad and Wonderful Thing just didn't get off the ground for me. Upon reflection, I think I can pinpoint it to one or two things in particular. People don't talk like that, and Mulholland does try to break up the repetitiveness of the Johnny and Cora dialogue by interchanging their surnames but it doesn't work. I know it's a relatively minor point but it kept distracting me and hampering my enjoyment. Moving on. I definitely got a sense of Ireland in the novel, with many places, song lyrics, poems and Irish history mentioned throughout and lovers of Ireland will relish this. However Mulholland uses the characters to argue the case for and against the IRA in such an obvious and clunky way that I couldn't really connect with the character's standpoint. Every now and again you come across a book with an awesome blurb that just doesn't deliver and sadly that happened for me here; but I'm just one reader. 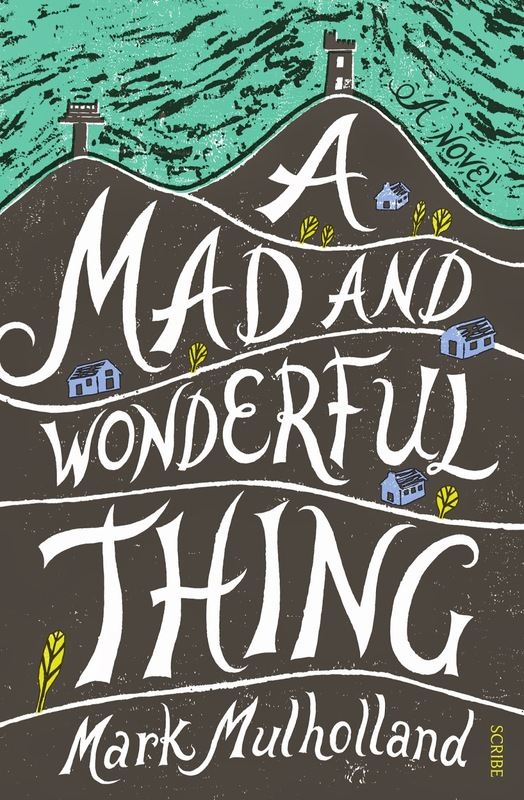 Having said that, A Mad and Wonderful Thing is rating exceptionally well on GoodReads, so if you read it and fall in love with with this debut novel from Ireland, I'd love to hear from you. Recommended for fans of Ireland and Irish folklore.